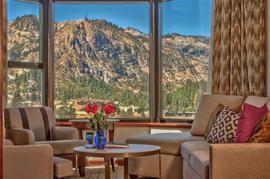 Sunnyside Restaurant and Lodge is lcoated just over 2 miles south of Tahoe City and sits on the shores of Lake Tahoe. With great views and large outdoor decks, this is a very popular destination when year round but especially in the summer months. Sunnyside Marina is just steps away and High Sierra Water Ski School is next door. 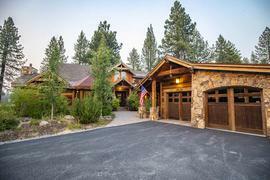 The lodge has 23 rooms and suites and has a comfortable Tahoe atmosphere. The restaurant offers appetizers, salads, soups, seafood and different meat dishes. The bar has a great feel and some of the favorites from the cafe menu are the clam chowder and the fish tacos. 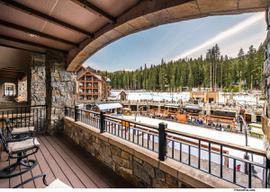 Sunnyside is one of those places you must visit when on the west shore of Lake Tahoe.